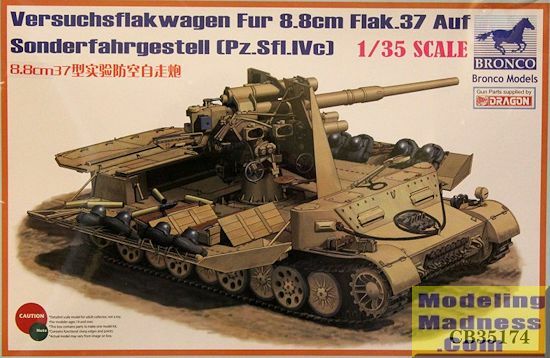 The vehicle was based on the Pz.Sfl.IVc chassis. Though design work started in 1941, the operational requirements for the vehicle were constantly changed, and the 8.8 cm gun was mounted on the chassis only in 1944. The vehicle was to be the basis of variants with other armament alternatives. However, the plan was never implemented. Only three prototypes were manufactured. The Pz.Sfl. IVc lead to the Nashorn, a much more successful tank destroyer. It seems that no matter how many different German armor kits are produced, manufacturers are able to provide us more and more esoteric subjects. This often means prototype and development vehicles and this one certainly falls into that category. I have to confess that when I first looked at the box art, I couldn't believe that this was based on the Panzer IV. I guess it was the larger Tiger/Panther road wheels that threw me off. 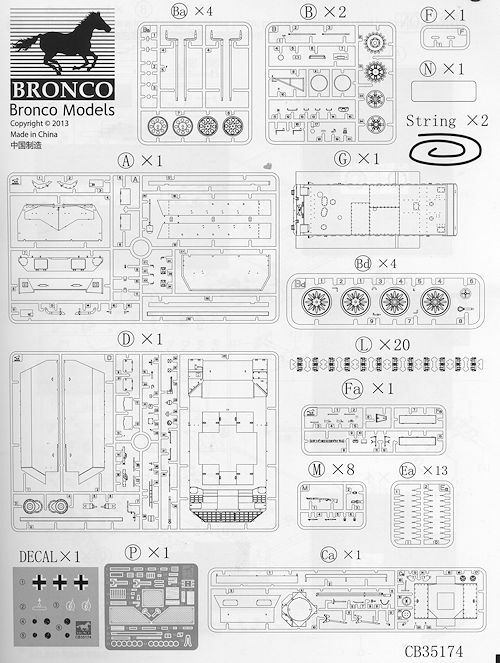 Another thing unusual about this kit is that it is a collaboration between Bronco and Dragon. Dragon supplied the Flak 37 gun and the hull and other bits are by Bronco. Dragon has done multiple kits using the 8.8cm flak so no real need to go into that part of the kit other than to say it can be moved in both azimuth and full elevation. 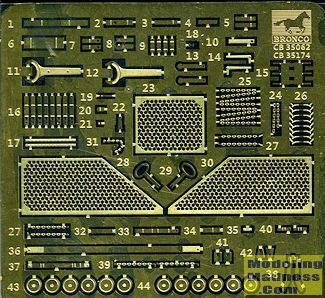 There are a lot of gun sprues which only use a couple of parts so spares will be abundant. 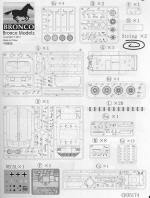 The rest of the kit is by Bronco and you'll spend some quality time building up the suspension on this one as there are eight road wheel attachment points on either side. In addition the kit has separate track links with each side having about 108 links. These links are also used to make up the spare sets these vehicles usually carried. A tool is provided that helps the modeler do sections of links before applying them to the suspension. One can have the large side covers either open for the firing position or closed in the travelling position. A decision as to which way these will be modeled needs to be made fairly early in the build. There are also hatches in these side covers that can be opened when in the travelling position. Storage space is provided on the inside of these shields and the kit comes with a variety of helmets, guns and such to place there. A nicely done photo etch set is provides which consists of a variety of small braces, handles and other bits. There are three large screens for the back of the vehicle. Lengths of twine are included to use as tow cables. Instructions are quite well done with sections in color to help apply the photo etch bits. Small detail images are also included to help out with parts placement. A variety of color references are included. Since this never got into combat, the decal sheet is included for those who want to do what would have been a production vehicle. 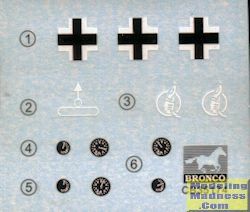 The instructions show these in overall panzer tan and with large green and brown areas. 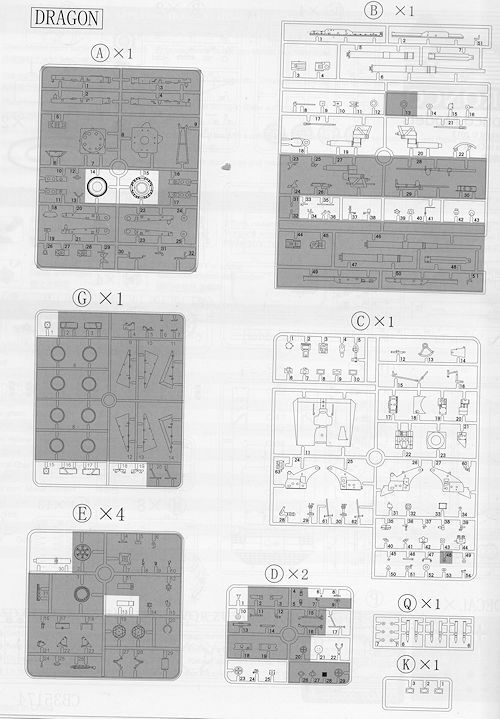 Those building a collection of German tank destroyers will want to get this kit. Though it never saw combat, it is an important stepping stone in the development of the type. Thanks to the rather high parts count, this would best be left to experienced modelers. For sure it will provide many hours of modeling pleasure. Thanks to www.dragonmodelsusa.com for the preview kit. You can find this one at your favorite retailer.